This is part of The Shadow League's Black History Month In Focus series celebrating Black excellence in sports and culture. This is part of The Shadow League’s Black History Month In Focus series celebrating Black excellence in sports and culture. The NFL has historically had its problems promoting African-Americans to leadership positions, therefore the number of Black coaches with the longevity and winning track record to be considered even very good is not plentiful. The sample size is way too small right now, but with a record eight minority head coaches entering the 2017 season the Chargers Anthony Lynn, Denvers Vance Joseph, Cincinnatis Marvin Lewis, Pittsburghs Mike Tomlin, Detroits Jim Caldwell, Clevelands Hue Jackson, the Jets Todd Bowles and Carolinas Ron Rivera (Hispanic) the league has the most minority coaches it has had at the start of any season. The guys on this list, both past and present, will be considered iconic pioneers in 20 years, when at least half of the league’s head coaches will be African-American (we hope), which would more proportionately reflect the nearly 75 percent of African-American players that comprise the league. So in essence, because of the uniquely aligned and deeply-rooted circumstances that have prohibited their growth into head coaches, Black coaches truly fall in a category of their own and should be honored accordingly. 1. Tony Dungy – The first black head coach to win a Super Bowl when his Peyton Manning-led Colts defeated the Chicago Bears in Super Bowl XLI. Dungy was head coach of the Tampa Bay Buccaneers from 1996 to 2001 and Indianapolis from 2002 to 2008. He was the model of consistency and the epitome of great character and set a new NFL record for consecutive playoff appearances by a head coach with 10 to end his career. Dungy also was very pivotal in helping Mike Vick get a second chance and transition back into the NFL after a jail stint for dogfighting temporarily derailed Vicks brilliant career. 2. Mike Tomlin – Became the second black head coach to win a chip in 2009 when he beat the Arizona Cardinals in Super Bowl XLIII. Hes the only one to appear in multiple Super Bowls. At just 44 years old, the Hampton, Va. product is among the youngest head coaches in any of the four major U.S. professional sports. Hes the tenth African-American head coach in NFL history and he will probably end up being considered the best one when hes done. In 10 seasons, Tomlin has made the playoffs 70 percent of the time and hes 103-57 (.644) as a head coach. 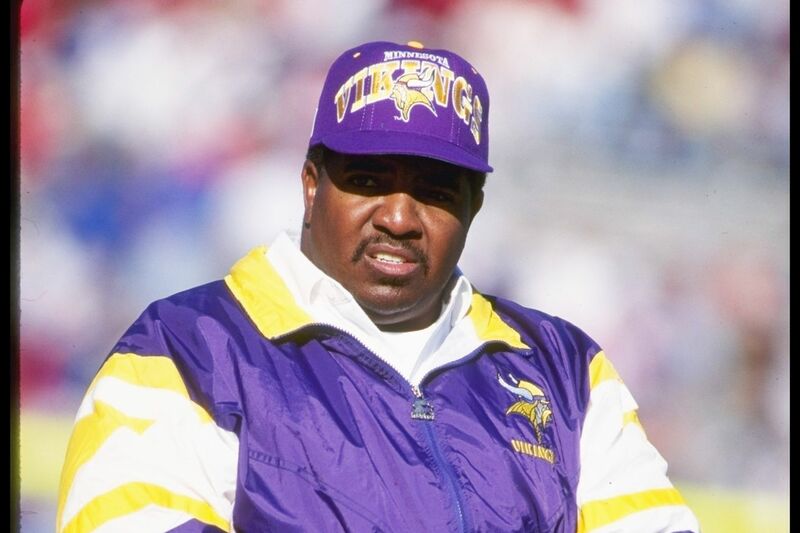 3.Dennis Green – The second African-American head coach in Division I-A history with Stanford. In 1992, Green became the second African-American head coach in the modern NFL era. Although he never won a Super Bowl, he helped revolutionize NFL offenses, proved his ability to lead men and execute with intelligence from his days as head coach at Stanford University to his glory years leading the Minnesota Vikings rebirth in the 1990’s. In 10 years with the Vikings, Green was a 97-62 and made the playoffs eight times. 4. Art Shell — He was the first black head coach in the NFLs modern era. Shell coached for the Los Angeles Raiders from 1989-94, made the playoffs half the time and took the Raiders to the AFC Championship game in 1990. During those years in LA , Shell had a record of 54-38 and just one losing season. 5. Fritz Pollard: He was the first black NFL coach and the first African-American football player at Brown. 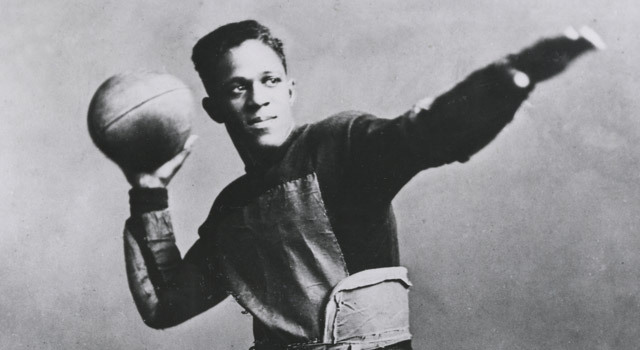 He became the first black running back to be named to the Walter Camp All-America team.Pollard played pro football with the Akron Pros and led them to the NFL (APFA) championship in 1920. In 1921, he became the co-head coach of the Akron Pros, while also beasting out of the backfield. Pollard, along with all nine of the black players in the NFL at the time, were permanently removed from the league at the end of the 1926 season. Pollard also published the first black-owned newspaper in New York City, the New York Independent News, from 1935 to 1942.